The Pentek P5 water filters reduce extra fine dirt, sand, sediment, silt, rust particles, and scale particles. The Pentek P5 water filter is resistant to chemicals and corrosion. The P5 filter cartridge is designed for purity, bacteria resistance, and chemical resistance. The Pentek P5 spun fibers form a true gradient density from outer to inner surfaces. The Pentek P5 replacement water filter will not impart taste, odor or color to the liquid being filtered when used within the recommended temperature limit. The coreless strength of the Pentek P5 water filter cartridge is achieved by sintering the many fibers into a solid matrix. NOTE: Do not use with water that is microbiologically unsafe or of unknown quality without adequate disinfection before or after the system. The Pentek P5 water filter is the same as the Ametek P5, Everpure DEV910908/DEV9109-08/910908/9109-08, Bunn ED-S-1/SS-10, Cornelius COR105/COR120, Cuno CFS110, EcoLab 9320-1135, Manitowoc K-00069/K-00173, NuCalgon 4712-87, PureMark PFS105, Selecto 101-230, Shurflo SF31-SEDs/F5-052-00 water filters. The Pentek P5 filter is a 5 micron extra fine sediment water filter cartridge made of spun bonded polypropylene. Pentek P5 water filters are manufactured from 100% pure polypropylene. The Pentek P5 water filters can be used on chlorinated or non-chlorinated water supplies. The Pentek P5 water filter cartridges fit in whole house water filter systems and Reverse Osmosis Systems. The Pentek P5 is Tested and Certified by NSF International to NSF/ANSI Standard 42 for material requirements only. The Pentek P5 replacement water filter is easy to install in whole house systems or reverse osmosis systems. 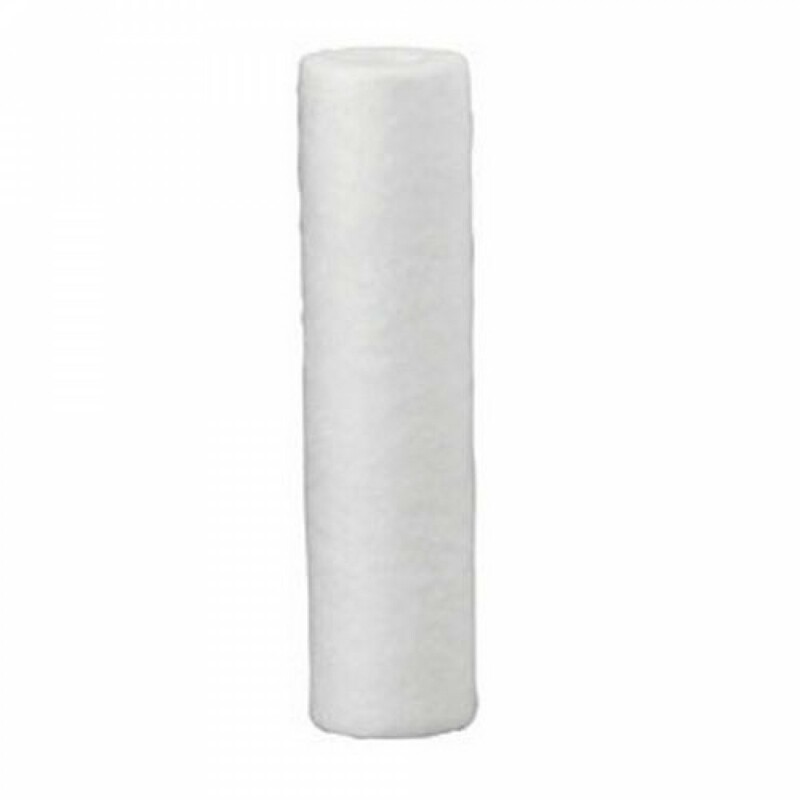 Replace the Pentek P5 sediment water filter cartridge approximately every 2 months or 8,000 gallons of water. The following Culligan models can use the Pentek P5 filter cartridge: HF-150, HF-160, HF-360, HF-365, RO-2127. The following Ametek, USFilter, and Plymouth Products models can use the Pentek P5 sediment filter cartridge: #10 Blue, #10 Clear. Pentek P5 = Culligan/USFilter/Ametek/Kleen-Plus P5, Sears 34362, American Plumber W5P, Ace Hardware 45331, MasterPlumber TrueValue 529-286, Flotec RS3, GE FXUSC.